9. 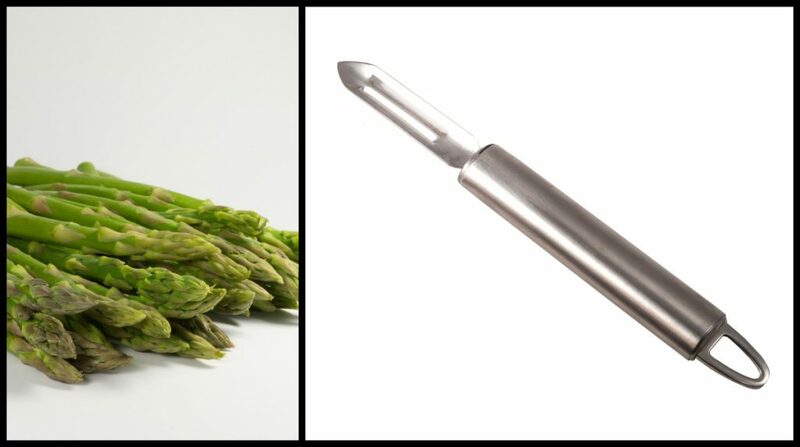 Place the asparagus flat on a cutting board, hold the stem tight with one hand, and with the other, shave the asparagus with a vegetable peeler into thin ribbons. 10. Top the puff pastry with chopped bacon, asparagus ribbons and chopped red pepper.